This is a challenge in which focuses mostly on the horses but you may have other pets as well, you may also be involved in other careers aside from horsewoman/man. Below are the basics of the challenge, please keep reading if this sounds at all interesting. Okay I have came up with the Equestrian Legacy Challenge. This challenge focuses mainly on the horses and their riders/trainers but also does still focus on the rest of the family. Let me break it down. The goal The goal of this challenge is to start out on ANY size lot you please. Just be sure to take into consideration that you will be doing more than 10 generations and you will need plenty of room for not only your house and family, but also your barn and horses among other pets. Anyway, your goal is to start off on any lot as I said, with two sims and a horse. (you can start out with one sim if you'd like) With your sim(s) and horse you may move onto your desired lot and begin building with what you have. You must go through 10 to 12 generations of your founders bloodline, raising them to fame and success not only in horse competitions but also in their own personal lives as well outside of caring for the horses. 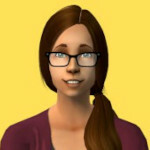 Now obviously not EVERY sim will be involved in the equestrian lifestyle and not every sim has to be. It is up to you on who is and who isn't. However, I do suggest you use your heir's and heiress's to be involved in the equestrian life style as they are your main source of carrying on the bloodline and they will be your main sims. Not only must you build up your sim(s) bloodline but also your horses too. 1.One of your two sims HAS TO have the equestrian trait. 2.You may not create any more than 2 sims and 1 horse to start out with. 3.You may not adopt several horses, because you are trying to build your horses bloodline as well, adopt one horse, mate the two, and go from there. 4.Money cheats of any kind or phorbited. 8.Your sim may have whatever career he/she wishes, they do not have to be in the equestrian career. 9.Throughout the challenge please have your heir/heiress be the one with the equestrian trait, their husband/wife does not have to have this trait and only one of their children is required to have it so that child can be the next heir/heiress to the family name. 10.Your equestrian sim(s) of each generation must earn 3 first prize trophies before they die! 3.Move family onto any lot you wish, use what you have to build what you can.